Signatories of the Declaration of Mataró. 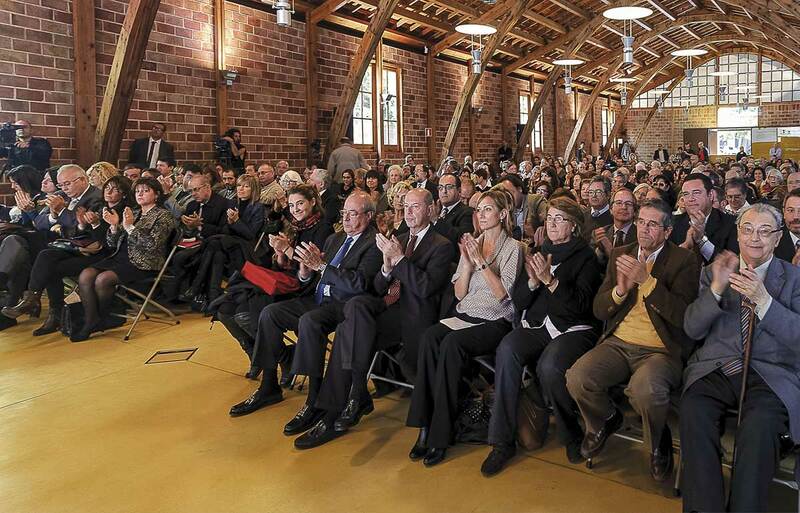 People in attendance at the opening ceremony of the “Gaudí-Mataró 130” Year. The musician Joan Pijoan performing at this event. 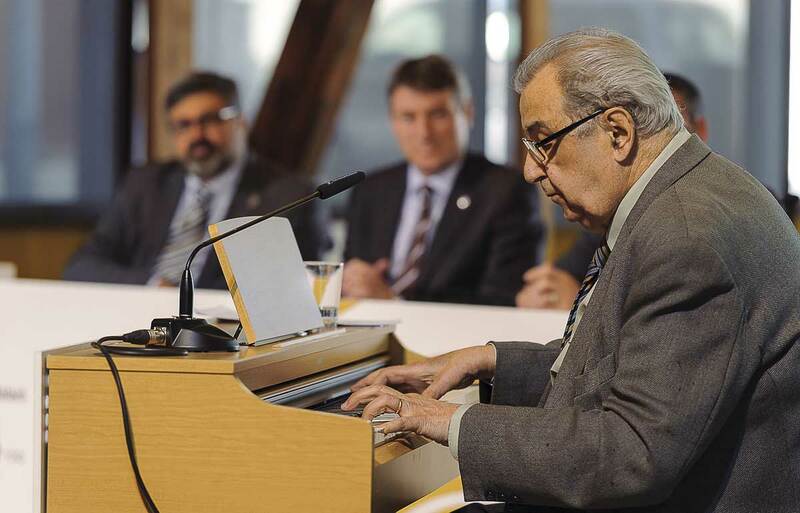 The Honourable Mr. Santi Vila, Catalan Minister of Culture, at the opening ceremony of the “Gaudí-Mataró 130” Year. The art critic and historian Daniel Giralt-Miracle at the opening ceremony of the “Gaudí-Mataró 130” Year. 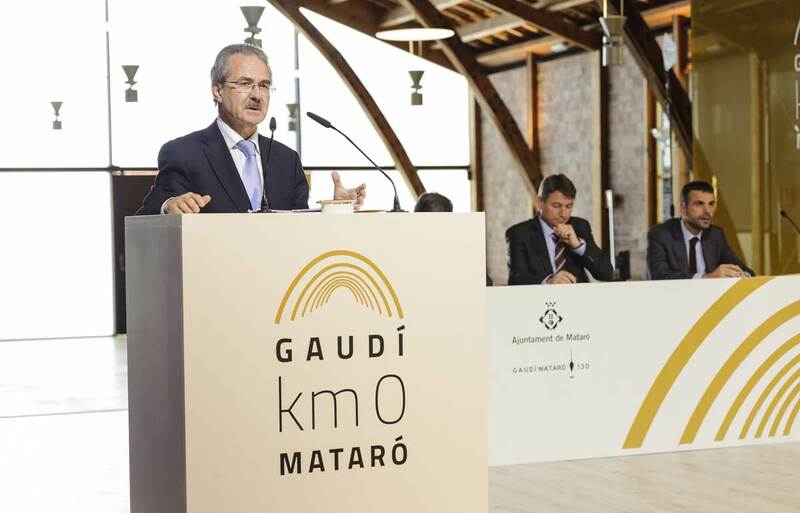 The signing of the Declaration of Mataró, the first manifesto in defence of the preservation and dissemination of Gaudí’s legacy, took place in 2013 within the scope of the events commemorating the 130th anniversary of the Nau Gaudí. 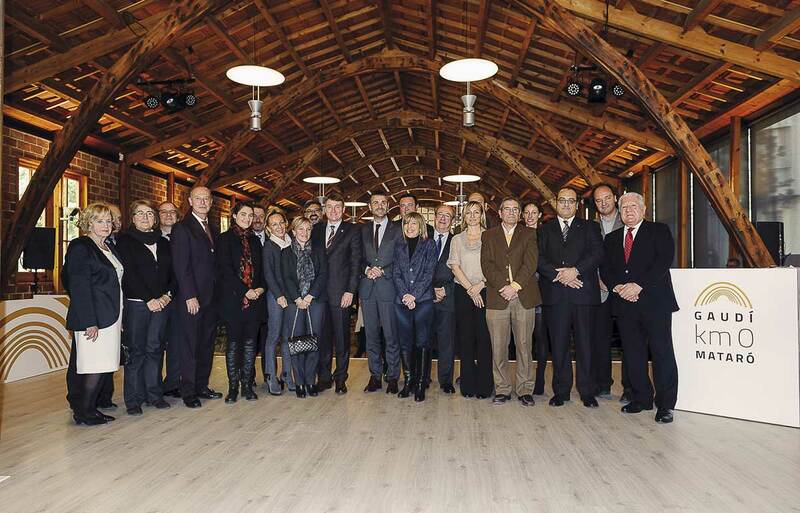 In this document the managers and administrators of Gaudí’s principal works in Catalonia and the representatives of various cultural institutions, professional associations and Public Administrations undertook the commitment to work jointly for the preservation and promotion of this valuable artistic and architectural heritage. 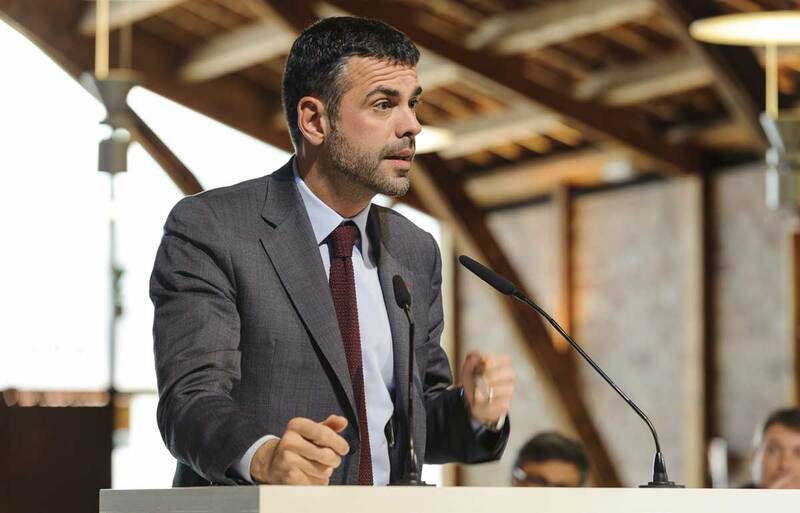 At the same time, the decision was made to form a body called the Gaudí Council, entrusted with the task of watching out for the fulfilment of the commitments undertaken. The Declaration of Mataró forms an essential milestone since, on the one hand, it has brought together for the first time the people and entities responsible for Gaudí’s heritage, setting some common goals, and on the other hand, it has asserted the heritage value of the Nau Gaudí, positioning it as the starting point of the architect’s work.